The rock formation, called Elephant Rock, was once covered in vines and coastal flowers and was named Green Rock by early European settlers and visitors. 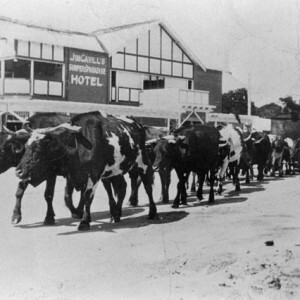 The ancient Gold Coast landscape was formed deep in the ocean as mud and sand that was compressed and squeezed into a type of sandstone known as ‘greywacke’. Shale, siltstone and slate also formed. 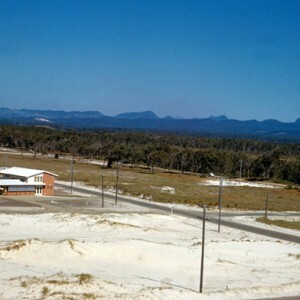 Over a period of four million years it’s estimated that a total thickness of approximately 1000m of volcanic rocks accumulated over a wide area of the Gold Coast as the massive shield volcano, incorporating Mount Barney to the west and Mount Warning in the east, erupted with basalt lava flowing across the forests and down the river and creek beds. The creek beds of Currumbin and Tallebudgera were once situated on top of the ridge lines that extend westwards. As a result of the volcanic activity, the harder lava rock resisted the slow erosion process and the creeks slid off their higher ridges. 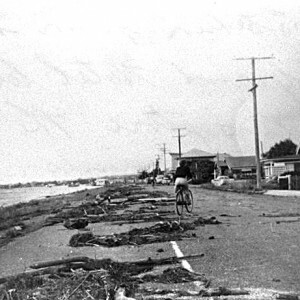 Currumbin Creek is now located north of its original position while Tallebudgera Creek is south of its original position. 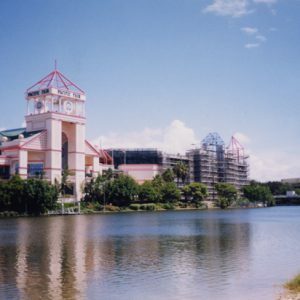 The land between the two developed into a low swampy and sandy dune system that was eventually named Palm Beach. This constant movement of water over thousands of years has slowly eroded the softer siltstone and shales and left the harder argillite and fine-grained greywacke across the ancient shoreline along Currumbin Beach. What remains of this constant activity are Elephant and Currumbin Rocks which, geologically, are also known as ‘chimneys’. The rock formation, called Elephant Rock, was once covered in vines and coastal flowers and was named Green Rock by early European settlers and visitors. 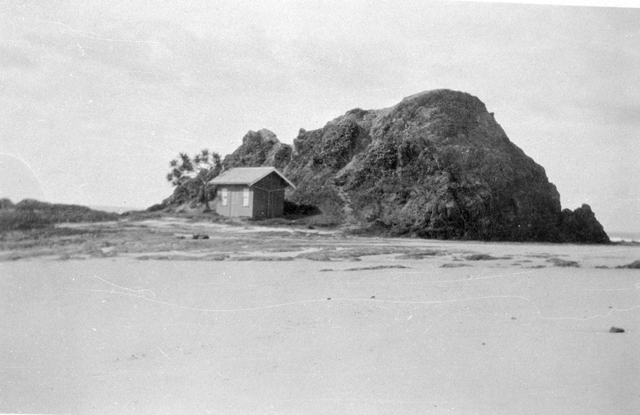 In early photographs, the rock resembles an elephant sitting on the beach facing out to sea and, over time the name Green Rock was no longer used and the alternative name of Elephant Rock replaced it. 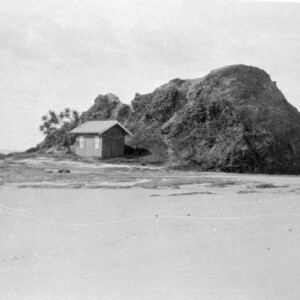 The rock shelf surrounding Elephant Rock on its protected northern side was chosen by the local surf club as an ideal location to build a small hut as a clubhouse. 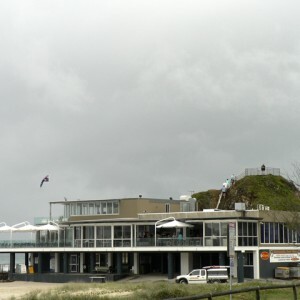 Over many decades the clubhouse was often damaged by high tides and cyclones, but the tenacity of the Vikings Currumbin Surf Lifesaving Club membership to maintain their position on the rocky shelf has resulted in the original club house expanding and becoming one of the most popular locations on the Gold Coast for dining and entertainment. Elephant Rock has become a major site for the annual Anzac Day Dawn Service with the service covered by television networks. 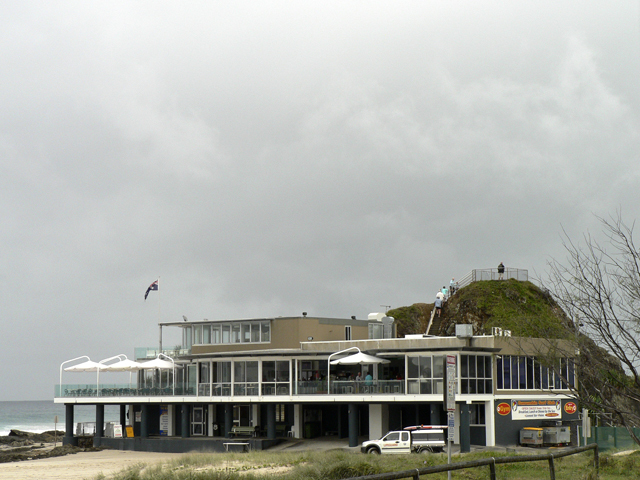 A war memorial plaque has been placed at the western base of the rock and a steep walkway is able to be used to reach a viewing platform on top of the rock affording 180 degree views along the coastline from Coolangatta to Surfers Paradise. This viewing platform has also become a installation site for featured artwork during the internationally renowned Swell Sculpture Festival held each September along the foreshore of Currumbin Beach. Willmott, Warwick, [et al]. Rocks and landscapes of the Gold Coast hinterland. Brisbane: Geological Society of Australia, 2010. Geological Society of Australia, Queensland Division, 3rd ed. Brisbane: 2010. 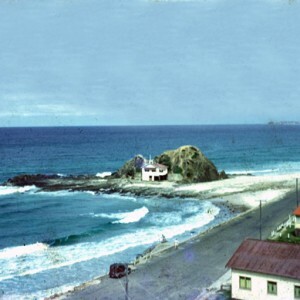 Currumbin Beach Vikings Surf Lifesaving Club : 1919-1969. 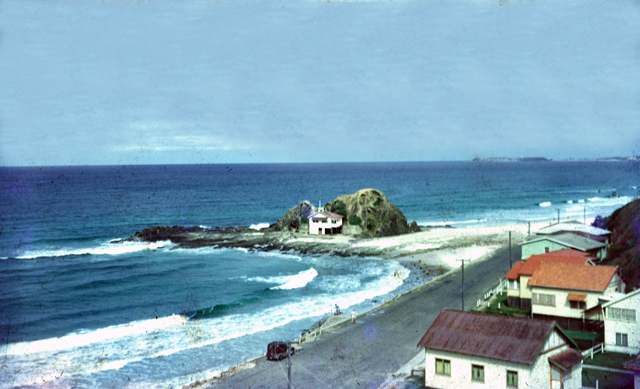 Gold Coast: Currumbin SLSC, 1969. 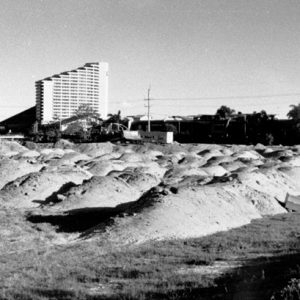 Herbert, H. W. The ancient history of the Gold Coast, Surfers Paradise: Gold Coast City Council, 1983. Noren, Anne. From the valley to the alley: a journey through Currumbin. Currumbin: Gecko, 2001.